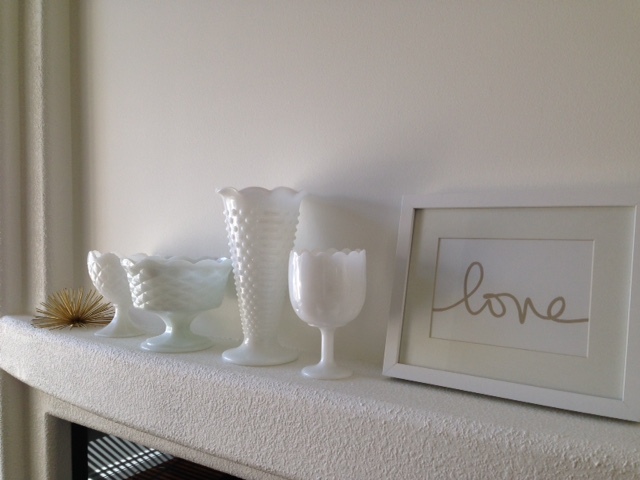 Milk glass is one of my favourite things! The mantel is the perfect place to show off a pretty collection. The first thing we did when we moved in was paint out the whole main and upper floor white. 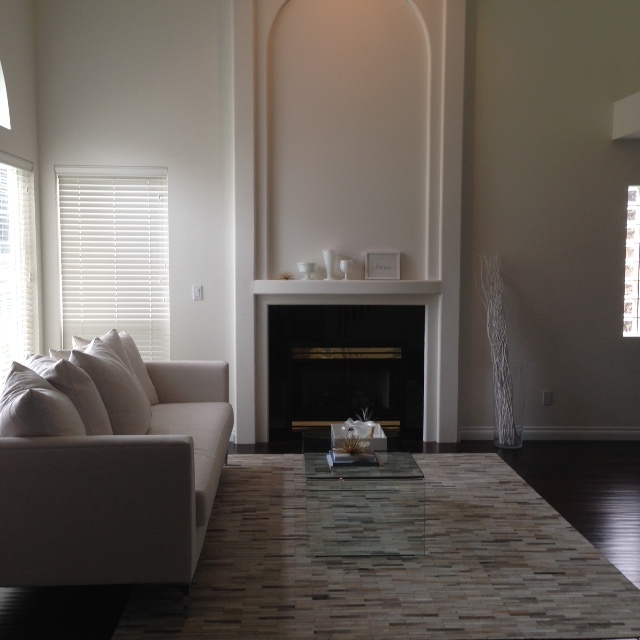 It really showcases the high ceilings and feels so open and airy now. The generous, bench seat white sofa is the showstopper in the room. I was absolutely giddy the day it arrived! Still need two armchairs and a piece of art above the fireplace to complete the space. 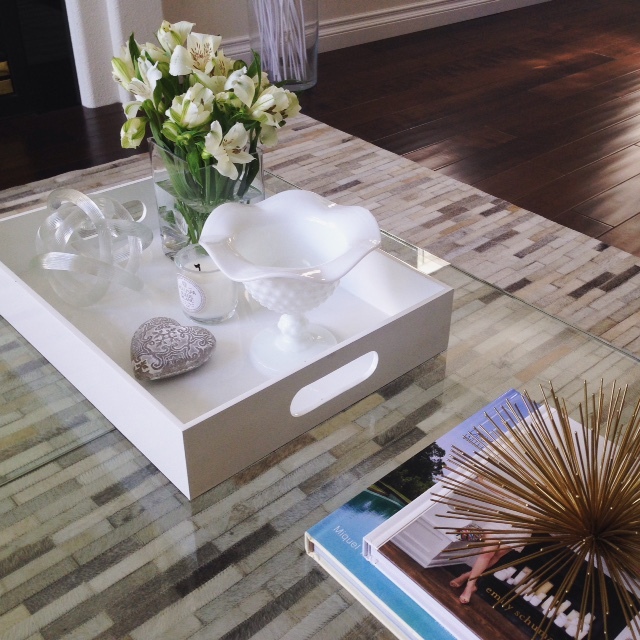 I love coffee table styling! It’s so fun to accessorize according to the particular season and show off your favourite things. Fresh flowers, a candle and a stack of books is a good place to start.